It's a railway grade, of course, and the grove shown two pictures back hides Nasrudieh Junction, a Y on the old Turkish railway from Damascus. 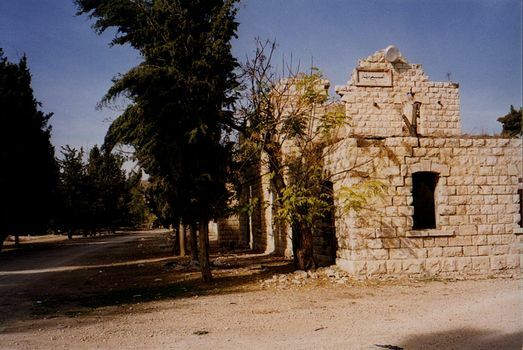 One branch extended behind the camera to Nablus. The other went to the coast.